Older PostIgnore the New 2015-2020 Dietary Guidelines! Pea Protein: The Future of Sports Nutrition? The plethora of protein powders on the market makes choosing a powder to try extremely different. You have fast digesting, slow digesting, complete proteins, incomplete proteins, whey concentrate, whey isolate, egg protein, casein, the list goes on and on and now you have another choice—pea protein. Wait, what? That green stuff that you have to shove down kids throats so they get some green veggies in their diet? Yup, that’s the one. Pea protein is popping up everywhere. You can now find pea protein in energy bars, cereals, and now in tubs at your favorite supplement/health food stores. Surprisingly, peas are a great source of protein. If you have ever had pea soup, it’s the same kind of dried peas that you’re already used to eating. While it’s not a complete protein, it still has some amazing health benefits. With the soluble fiber coming from pea protein, it will also help with satiety. Not that adding pea protein to your diet alone will do this, but more research is surfacing showing that plant-based diets can reduce the risk of diabetes, obesity, and high blood pressure. It’s not uncommon to see blends of protein on the market to achieve different results. Those looking for a fast digesting protein for post workout generally look for something like an isolate while those looking for some added protein throughout the day to hit their macros will look for a blend of something like concentrates and casein to have both a fast and slow digesting protein source. Need something that will break down slowly while you sleep at night? Then casein protein is the way to go. So where does that leave pea protein? You have an animal-based protein and also a plant-based protein. Well, pea protein ends up somewhere in the middle. Pea protein is digested slower than whey but faster than casein which gives consumers even more choices to fit their individual wants and needs. 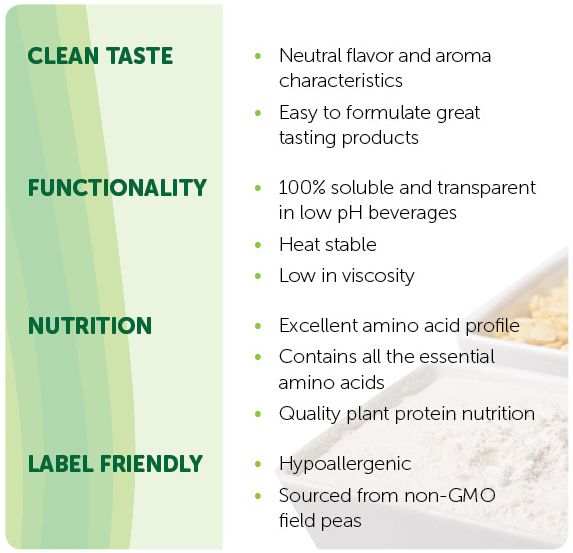 The uses for pea protein can be as a blend or even as a standalone. Pea protein is absorbed within 45 to 60 minutes which would allow it to be used post workout if the user wished to do so. Pea protein might also be a great way to help lose weight if that is your overall goal. The stomach secretes a substance called ghrelin which stimulates the sensation of hunger to the brain. Pea protein actually has the ability to lower ghrelin levels to shut off the sensation of hunger. So is pea protein only for those who can’t handle or don’t want to ingest animal-proteins? Nope. Pea protein is a great compliment to any protein source. In general, having a good balance of protein sources in your diet is a good thing—it provides balance. While the flavor of pea protein alone might not have you doing the jig, it’s not THAT bad. Some people will put Splenda, Xylitol, or Stevia in their shakes if they are using pea protein as a standalone. Another way to flavor your pea protein powder shakes would be to add some fresh fruit. Throw it all in the blender with some ice cubes and you have a tasty treat. If you are on the go and don’t have time to use the blender or are out of the house and need a shake you can always mix your pea protein in your shaker bottle with other flavored protein sources (like whey) and you really won’t be able to tell the difference. What does pea protein mean for athletes? Being that pea protein is high in the amino acid lysine, it can help in the formation of collagen to protect cartilage and tendons from the forces put on them through athletics as well as the stresses from exercise. The increased lysine content can also help your immune system which is constantly taking a beating. If you grab a tub of pea protein does that mean you don’t need to eat the real thing anymore? No. Nothing is as good as it’s natural form and pea protein should not be used as a substitute for whole food choices. Pea protein powder as well as all whey protein powders are a supplement and should only be used as such. 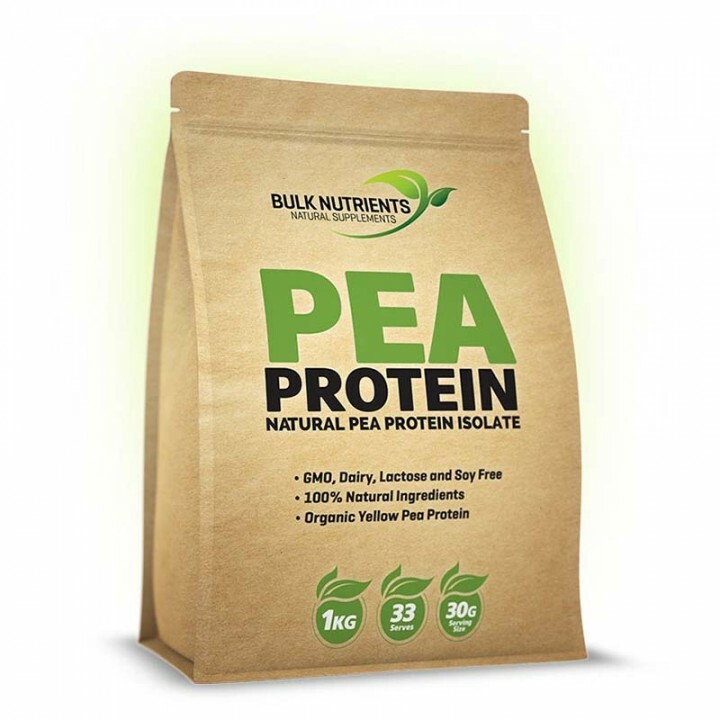 Overall, the use of a pea protein can help you nutritionally as well as environmentally. Less resources are needed to harvest peas when compared to animal-based protein sources. Don’t just think about your health, but also the environment around you. And as always, consult with your doctor before adding any protein supplements to your diet. Why Am I Not Getting Any Bigger?